Like many large cities there is a lot to do in Victoria and my aim is to tell you as much about it so that when you get here you will not waste your time picking out things to do but you will know what you are going to do with your valuable time here and so you will get the most out of it. So, I decided to build this website for people like you. You'll find tons of "Insider Secrets" on my favorite restaurants, special "can't miss" attractions that bring out the locals, how to avoid the crowds and many other secret treasures hidden away from the casual tourists who are out rushing from place to place. Meanwhile, you can use the navigation buttons on the left or the Table of Contents below to find what you need to know about beautiful Victoria British Columbia in Canada. Many of the travel magazines have picked Victoria as one of the Top 10 cities to visit in the entire world... The city's Chinatown is the second oldest in North America after San Francisco's. The region's Coast Salish First Nations peoples established communities in the area long before non-native settlement, possibly several thousand years earlier, which had large populations at the time of European exploration. Victoria, like many Vancouver Island communities, continues to have a sizable First Nations presence, composed of peoples from all over Vancouver Island and beyond. Many of the travel magazines have picked Victoria as one of the Top 10 cities to visit in the entire world... The city's Chinatown is the second oldest in North America after San Francisco's. The region's Coast Salish First Nations peoples established communities in the area long before non-native settlement, possibly several thousand years earlier, which had large populations at the time of European exploration. Victoria, like many Vancouver Island communities, continues to have a sizable First Nations presence, composed of peoples from all over Vancouver Island and beyond. Known as the "City of Gardens," Victoria is an attractive city and a popular tourism destination with a thriving technology sector that has risen to its largest revenue producing private industry. The city has a large non-local student population, who come to attend the local higher education facilitys including the University of Victoria, Camosun College, Royal Roads University, the Sooke Schools International Program and the Canadian College of Performing Arts. Victoria is also popular with retirees, who come to enjoy the temperate and usually snow-free climate of the area as well as the usually relaxed pace of the city. The people living in this city indeed have a lot to be proud of! In fact, when a survey was conducted all over Canada, Victoria residents were most satisfied with their hometown – and right they were! These are not all the facts there are about Victoria, obviously, there are many many things more worth knowing and discovering. You'll find tons of "Insider Secrets" on my favorite restaurants, special "can't miss" attractions that bring out the locals, how to avoid the crowds and many other secret treasures hidden away from the casual tourists who are out rushing from place to place. So just sit back and relax and go through the site. See all that Victoria British Columbia has to offer. Read the reviews and browse the recommendations. No need to make decisions right away. But when you're ready, I'll help you take the next step. map of Victoria BC & our Vancouver Island map will help you to put into visual context much of the other Victoria BC information you'll find on this site about Victoria British Columbia. Victoria BC weather is lovely & temperate much of the time. 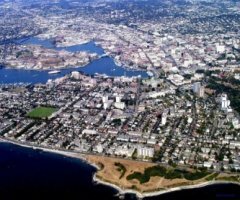 Get the scoop on the climate and weather in Victoria BC (British Columbia). Victoria BC is a wonderful place to visit. Get the important facts on Victoria BC travel, as well as Vancouver Island travel. You will not want to miss this! This schedule of yearly events Victoria will be helpful in planning your vacation. As you can see by this Victoria calendar of events, there's always something going on! Tours in Victoria. Something for EVERYONE! Travel to Victoria BC can be done by air, by sea and by driving. Tips on travel to Victoria and Vancouver Island can be found here. Getting to Vancouver Island is easy as pie! Packing Checklists-Get Your Travel Packing Tips and Packing Checklist Here! Flights to Victoria and flights to Vancouver Island are not hard to find, as the area is served by many major and minor airlines, originating both out of the US and Canada. Cheap airline tickets may..
Travel the world from your desktop by visiting these travel websites, some of our favorite websites about travel outside Victoria BC Canada. Travel Victoria BC - Tell us about your perfect day in Victoria British Columbia. 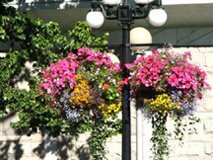 You can advertise with Victoria-BC-Canada-Guide.com! Get your message seen by thousands of future vacationers in Victoria BC. Would you like to share your knowledge about victoria british columbia? Great, find out how you can submit your story or tip here.